The Four Major US Carriers: Verizon, AT&T, T-Mobile and Sprint – Which is Best for RVers & Cruisers? 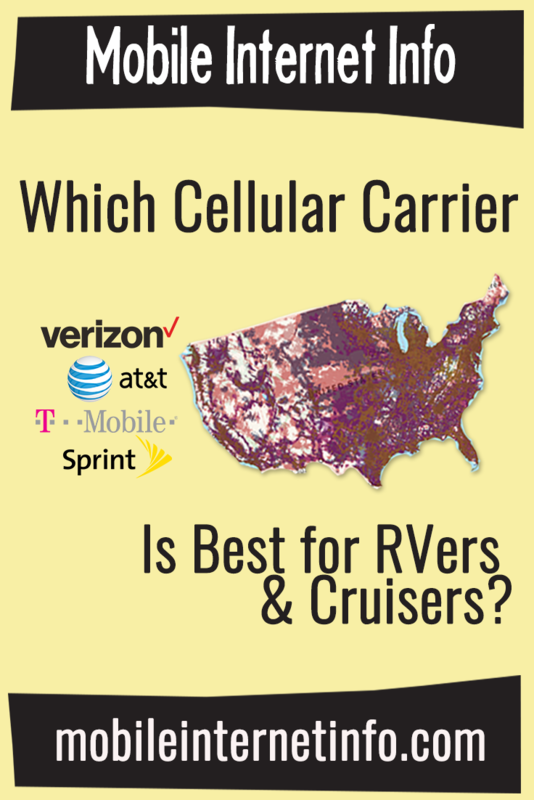 Which Cellular Carrier is Best for RVers, cruisers and frequent travelers? 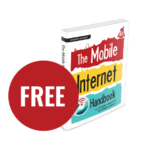 Cellular data is probably the easiest and most accessible option for getting online in most places across the USA. But as simple as it can seem on paper, cellular is also sometimes a confusing subject – primarily because there are just so many options! You have to choose which carrier(s) you want, which plans make sense, what equipment to purchase, and how much speed and data you actually need. If you live in one location and only travel occasionally, it’s relatively easy to pick the best cellular carrier. Obviously, you go with the one that you’ve observed to have the best service within your area. You can ask your friends and neighbors for experience, check the carrier's coverage maps and you can check crowd sourced coverage maps like http://www.sensorly.com, http://www.rootmetrics.com/us/ or http://opensignal.com . While there might be an obvious “best” network for a given neighborhood, frequent travelers have a harder choice to make... our location changes, often! There simply is no single network that works best everywhere. All of the big four (or perhaps three come 2019 if the T-Mobile/Sprint merger is approved) nationwide carriers have their strengths and weaknesses in various locations across the country. And each offers different plans & policies that make them more or less suitable as a mobile internet solution depending on your needs. As a frequent traveler, you need to consider what carrier - or more than likely, combination of carriers - will give you coverage and data in the places you want to visit. 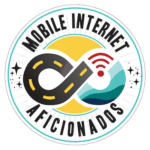 This article is an overview of the strengths and weaknesses of the current four major carriers (Verizon, AT&T, T-Mobile and Sprint) in the US as they relate to mobile internet for RVers, cruisers and frequent travelers seeking an on-the-go home internet replacement. The MIA is our premium membership - designed for those who consider mobile internet an important part of their lifestyle. 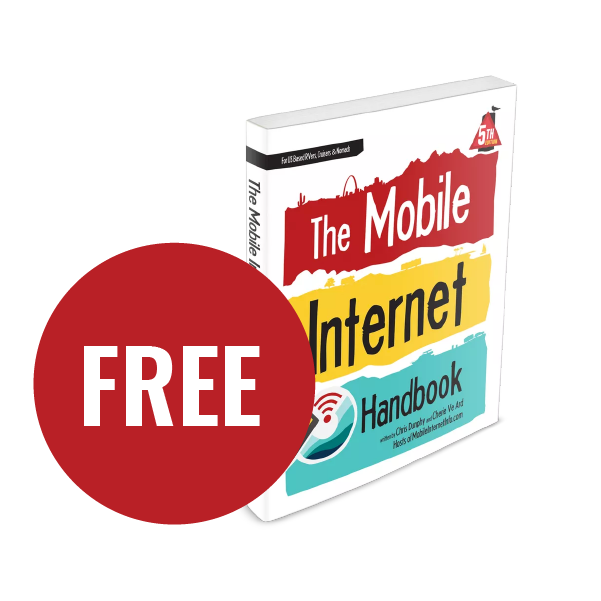 The free portions of this guide is made possible by member funding. In thanks for their support we offer a bunch of additional perks. From interactive guidance, in-depth member exclusive content, discounts, alerts and more. Check out our our Classroom - our guides organized for easier learning. Our Gear Center is designed to help you pick out the right mobile internet equipment for your needs. Stay up to date with the latest plans, products and trends in our News Center. Join our free Internet for RVers & Cruisers Facebook Group. We cross post news articles and information there, and our staff can field basic questions during 'business hours'. It is with gratitude to our premium members that we're able to offer this free service - and for that, they also have access our private Q&A areas for more in-depth guidance. Chris & Cherie have been traveling perpetually since 2006, mostly in an RV. 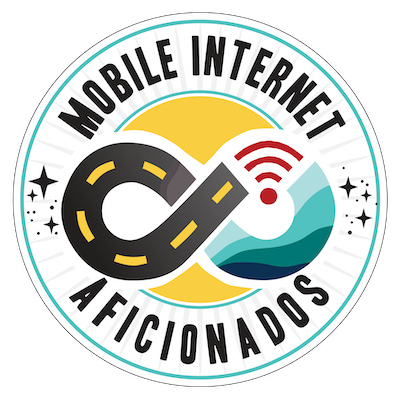 They are high tech professionals who rely on mobile internet for their livelihood.